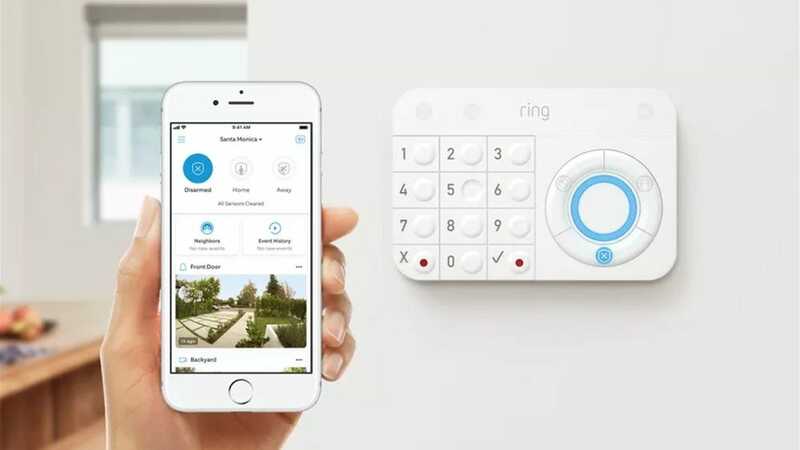 After a brief legal hurdle, Ring is bringing its DIY security system to the masses. You can finally pre-order it, starting at $200. Security systems can be expensive to install, but modular, more DIY security systems from smart home companies are promising to change that. Promising, but not necessarily delivering just yet. For example, Nest—which is owned by Google—offers an alarm system that starts at $400 with two door sensors, each of which acts as a motion sensor (and also the base station can detect motion as well). That’s a nice start, and letting the sensors pull double duty is impressive, but it’s still a hefty price tag considering you’ll likely need several add-ons to secure anything more than, say, the area around your front and back doors. Now, Ring—which is owned by Amazon, Google’s emerging primary competitor in the smart home space—is finally releasing its answer to this. The Ring Alarm features a starter kit that costs $200 and comes with one motion sensor and one door sensor. That’s less than you get with Nest’s kit, but it’s also half the price. With the difference, you could buy ten more door sensors ($20 each) or six motion sensors ($30 each), or some combination of both. Say, five more door sensors and three motion sensors. That’s a lot more bang for your buck. Ring also offers a subscription service that allows you to get professional monitoring of your system that even works using a cellular connection if your internet goes out. The $10/month plan also includes unlimited recording for your Ring Doorbells and Cameras. Amazon and Google are both racing to own the smart home market as affordable and easy-to-use gadgets make their way into the mainstream. DIY home security has always been a bit of a niche category, but between Nest and Ring’s offerings, it might start becoming a lot more common. You can pre-order the Ring system now, and they’ll start shipping July 4th. Whether you’re looking to add to your existing smarthome repertoire, or are just starting from complete scratch, there are a ton of Black Friday deals for smart speakers and smart displays alike.